A while back I had an idea for a short story about people caught up in a massive alien invasion, where humanity is rounded up and imprisoned in gray, windowless compounds while their captors run nefarious experiments, all of which is part of some mysterious, overarching plot a la Lost and the like. Then I told myself something like that has been done so many times that it wasn’t worth bothering, and I tucked the idea away on a mental shelf and haven’t looked at it since. 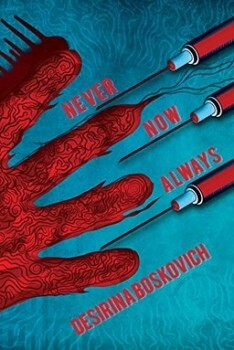 I bring this up because the novella Never Now Always by Desirina Boskovich takes that core premise of people imprisoned and experimented on by mysterious overlords and spins it so effectively, adding layers of dark surrealism and uncertainty to create a deeply compelling story. Never Now Always has a War of the Worlds/The Fifth Wave vibe with a literary style, propelled by the fact that the story’s three protagonists (and practically the only characters focused on) are constantly having their memories stolen and/or modified, stripping away most of their identity by removing the thing that makes each of us distinct. Main character Lolo knows that she has to find her sister, Tess, but everything else is an uncertain blur, to the point that she doesn’t even know the words for things. Boskovich weaves those language gaps into the narrative with a subtlety that is also easy to read and follow – something that a lot of surrealist and literary fiction doesn’t pull off. There are cycles repeated here, as Lolo and the others try to find and support each other and ultimately escape, but the ongoing layers of mystery means that there is never a moment without intrigue. Is their bizarre prison on Earth, or somewhere else? Are Lolo and the others children, or adults who have lost their semantic and episodic memories – or something else? Are the Caretakers around them seeking to experiment, indoctrinate, or possibly protect these humans from self-inflicted harm? Combined with a darkness beneath the surface of this story that has nothing to do with the Caretakers, the constant question of what’s going on is unbelievably compelling for so tight a narrative. The best part of Never Now Always is that you never get all the answers – but the wondering is most of the fun. Never Now Always will be released at the end of this month, but is available for preorder right now! Desirina Boskovich’s short fiction has been published in Clarkesworld, Lightspeed, Nightmare, F&SF, Kaleidotrope, PodCastle, Drabblecast, and anthologies such as Aliens: Recent Encounters, The Apocalypse Triptych and Tomorrow’s Cthulhu. Her nonfiction pieces on music, literature, and culture have appeared in Lightspeed, Weird Fiction Review, the Huffington Post, Wonderbook, and The Steampunk Bible. 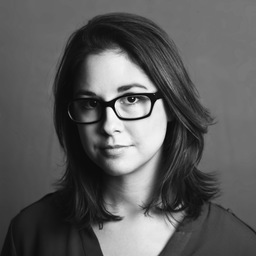 She is also the editor of It Came From the North: An Anthology of Finnish Speculative Fiction (Cheeky Frawg, 2013), and together with Jeff VanderMeer, co-author of The Steampunk User’s Manual (Abrams Image, 2014). Her next project, forthcoming from Abrams Image, is Starships & Sorcerers: A Secret History of Science Fiction, in collaboration with Jason Heller. Find Desirina online at www.desirinaboskovich.com.